The Volkswagen Group which has brands like Audi, Porsche, Volkswagen, Seat and Bugatti has announced that it is currently testing autonomous parking and will begin using the technology in production cars in 2020. Anoher German company that was in the news for a similar system was Daimler which introduced an automated valet parking system for visitors to the Mercedes-Benz museum in Sttutgart. Initially, the system will be available in multi-story parking garages. It is planned that autonomous vehicles will have their very own separate traffic routes so that they would not be interfering with vehicles that are driven by human beings. These vehicles will be using data pulled in from maps and visual indicators as well as data received from sensors within the car to help them navigate. 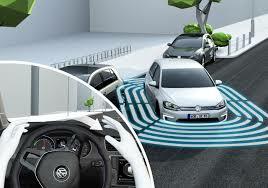 The data will be processed within the vehicles by a central control unit. At a later stage, these vehicles will be able to handle mixed traffic, and will be able to park themselves in any parking area. Other plans Volkswagen has when it comes to technological innovations include the development of vehicles which can run errands autonomously, and robots that have the ability to automatically charge an electric Porsche after it parks itself.